I wanted to share with you the latest issue of the ANSA-Africa Newsletter looking at “the ability of Information and Communication Technology to empower civil society and force governments to be accountable.” The edition was the outcome of a workshop held in October 2009 in Johannesburg. It includes a nice feature by Samantha Flemming looking at “Local government, social media and responsibility”. It will be useful to monitor the example of the South African Cabinet who has initiated a Local Government Turnaround Strategy aiming at involving citizens in local governance. Carmen Alpina introduces a tool to promote local government budget accountability online in Kenya, a platform developed by the Social Development Network (SODNET). The online budget tracking tool allows communities to monitor the performance of central government, parliamentarians and local authorities in budget expenditure and disbursements, mainly by covering various funds, the Constituency Development Fund, the Local Authority Transfer Fund, the Youth Enterprise & Development Fund and the Economic Stimulus Package. Unfortunately, the platform at www.opengovernance.info is currently unavailable. You can download the newsletter here. 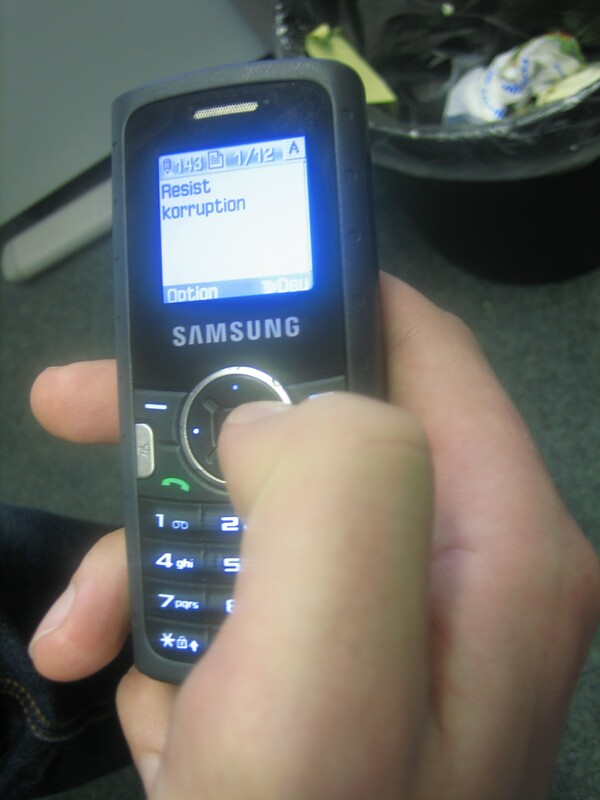 At Transparency International, we are working hard to get a couple of pilots on using mobile phones in anti-corruption work out this year. Related to this, I just came across this very useful Sida report (thanks @hajovanbeijma from Text to Change): The Innovative Use of Mobile Applications in East Africa (download from here). A couple of really promising initiatives looking at citizen to government accountability in East Africa are mentioned, such as Twaweza in Uganda that plans to track school attendance, the Budget Tracking Tool and BungeSMS in Kenya, and the Kenyan government offers an SMS service through the Office of Public Communications for citizens to send information, suggestions or complaints. However, especially as initiatives in areas such as health abound, projects and tools to improve transparency and accountability are still struggling. A challenge that is a bit more sector specific has to do with the mobile industry itself. The sector is highly competitive and privatised with profit as the primary focus. If a non profit service is launched it is usually being implemented as part of corporate social responsibility (CSR) programs in the entertainment, sports, housing, health, education and environment sectors, i.e. sectors with maximum reach out, good for marketing purposes and with few political hurdles. Good governance on the other hand is a public good. How does one attain a balance between the two? Today there are few innovative business plans that brings the two worlds together and therefore social and governance applications end up low on the priority scale of operators. Further, public service is a long term commitment, there are no quick fixes which a pilot can fix. And the report also mentions, albeit very shortly, one of the issues I have found crucial when discussing possible implementations such as reporting instances of bribery through mobile phones. In governance related applications, anonymity and privacy is often of high importance given that in most countries bribery is an act of crime. One of the first solutions that I know of providing the opportunity to complaint on crime in general and bribery cases in specific comes from Panama. 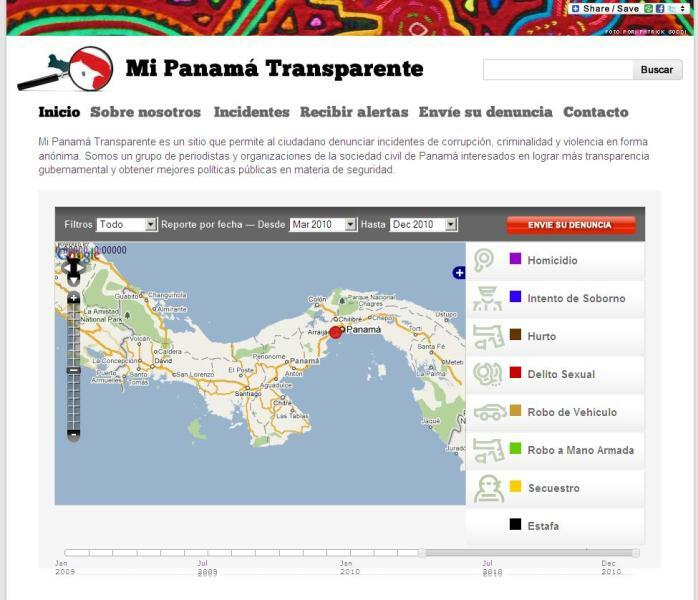 Have a look at: http://www.mipanamatransparente.com. The project is being implemented by the Panaman chapter of Transparency International and the International Centre for Journalism amongst others. thrown by our colleague alan, this link points to the Bank’s interest in projects linking ICT and governance. could be a good opportunity for anti-corruption csos in francophone africa to partner in going mobile. it’s posted on frontline sms’ webpage, an interesting tool that has already been applied promisingly by a number of ngos in the broader governance field for election monitoring, e.g. in Nigeria and Zimbabwe. some general background on mobile election monitoring is available here. it will be very interesting to see what the potential of this technology is with regard to mobilisation against corruption, and – dare we hope – its prevention.